Big changes are afoot at the intersection of Chrome OS and Android — and if you don't look closely, you're bound to miss something significant. Google's Chrome OS platform is on the brink of yet another potentially massive expansion. That much we've established. What we didn't discuss in Tuesday's "Chrome OS takeover" column, though, was a significant secondary effect that could result from this coming evolution. In case you haven't been paying attention, what we're talking about here is the ongoing alignment of Chrome OS and Android and the fascinating changes that are happening as a result. In short, the presence of Android apps on Chrome OS is redefining the platform's possibilities and limitations. Those new parameters, combined with the accompanying advancements in hardware, are effectively turning the Chromebook into the next-gen "Android tablet." Now, with more alignment steps in the works and the first non-convertible, pure-slate Chrome OS tablet apparently nearing its debut, the stage is set for a new class of Chromebooks to creep into the computing mainstream — starting, perhaps, with the pivotal education market and then inching outward from there. That's the abbreviated version, anyway. And that brings us back to my actual point here today: The arrival of Chrome OS tablets could have serious implications for the state of the collective Android-Chrome-OS ecosystem. And those implications could affect all of us who use products on either side of the increasingly scalable fence. This new effort has plenty of advantages over its predecessor — elements like the fast-booting, inherently secure, and free from manufacturer- or carrier-meddling Chrome OS environment; the software updates delivered directly by Google every two to three weeks, for a minimum of five years; and the simple fact that an existing army of devices and users is already sprawled out and active all around the world. That last part is key. Remember: In the education market alone, Chromebooks make up somewhere around 60% of all school tech purchases, according to recent estimates. If even some of those schools start stocking Chrome OS tablets (Chromepads?) — either as a supplement to their existing infantry of regular Chromebooks or as a replacement for the relatively small number of iPads still hanging around in classrooms — that's a heck of a lot of Play-Store-enabled slates out in the wild. And that's not even factoring in all of the regular and convertible Chromebooks that are already out there and also now providing Play Store access. 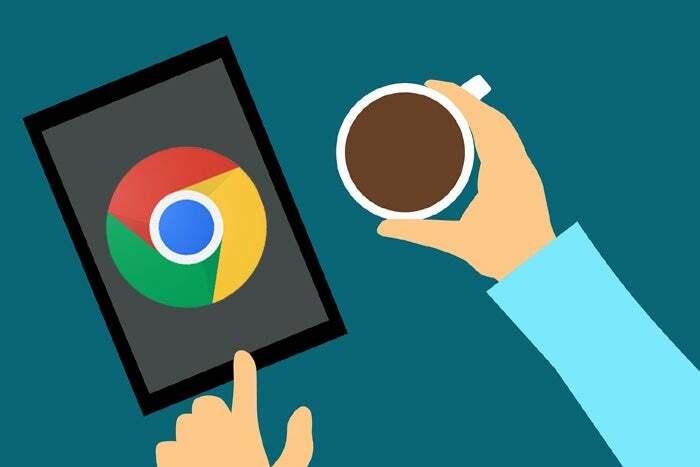 Ed-tech decision-makers are likely to have plenty of incentive to move to Chrome-based tablets, be they straight-up slates or detachable-keyboard-type devices. Productivity and versatility arguments aside, the plain and simple truth is that Chrome OS tablets are going to be a lot more cost-effective than iPads to purchase and maintain. The intrastructure is identical to what's already in place with Chromebooks in all these schools, too, which means there'd be just a single management console for every computing device in the district — and no additional training required. For the education realm in particular, that type of streamlining is a powerful perk. So let's just assume that Chrome OS tablets do make a meaningful splash and attract a significant amount of users. Let's assume that the aforementioned education market effect spreads into the lives of students, many of whom are bound to keep embracing the same platforms and ecosystems they've grown up with once they graduate. And let's assume that the impact makes its way into the enterprise, where Google's increasingly been pushing, and ultimately then into the consumer market on at least some level. All of that matters to you, as a user of Android or Chrome OS products, for one simple reason: apps — specifically, the availability of apps that truly take advantage of the large-screen form. The introduction of the Chrome OS tablet has the potential to legitimize the Play Store for the first time as a serious platform for bigger-than-phone devices. It could conceivably even make it the premier app platform in that domain — and that, suffice it to say, is quite the shift from what we see today. The lack of apps that shine on a big screen has been the thorn in Google's side ever since Android tablets first came onto the scene. While it's true that the platform makes it reasonably easy for developers to ensure their apps scale up intelligently to any size display, it's also true that a lot of developers don't bother giving an ounce of thought to how their programs appear on products larger than a plus-sized phone. That reality is still quite apparent when you use Android apps on a Chromebook today. Sure, there are plenty of useful titles that work exceptionally well with Chrome OS and add an awful lot of value to the experience — but there are also plenty of apps that clearly weren't made to run on that type of hardware and feel painfully awkward as a result. The only choices were to view the app in a maximized-yet-still-phone-sized view, with those lovely black borders taking up the majority of the screen, or to shrink it down into a super-narrow phone-sized window — which isn't exactly ideal for a large-screen device, either. Awkward, right? Her question to me: "Is this the way it's supposed to work?!" My answer: "No. No, it isn't." 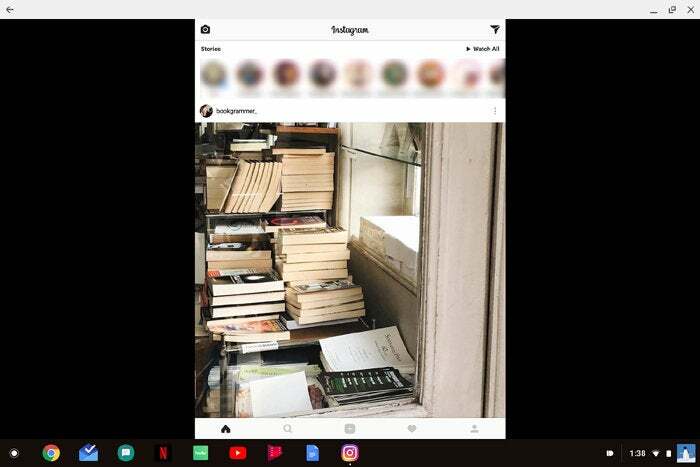 It's a result of Instagram's developers completely ignoring how their app acts on a Chromebook and neglecting to put even the teensiest amount of effort into ensuring users have a reasonably good experience on that type of device. It's annoying. But it isn't surprising. Developers, understandly, go where the users are. They have to make a living, and it only makes sense to invest their resources where they're likely to pay off. Large-screen devices with the Play Store have never represented a significant enough piece of the mobile tech pie to qualify. The problem, though, is that we end up with a chicken-and-egg sort of stalemate: Users aren't on a particular platform, so developers don't flock to it. The selection of apps optimized for that platform then remains underwhelming, which certainly doesn't help with user adoption. It's precisely what happened in the realm of traditional Android tablets, and it's something we've seen happen in other areas as well (hi, Windows Phone!). With the Chrome OS tablet, though, things are different. The userbase is essentially already there — and it's massive. And while the Play Store is still a secondary part of the experience on convertible Chromebook tablets at this point, it's likely to be a core part of the experience on a pure slate device. The elements are all present. The chicken-and-egg predicament is no more. If Chromebooks as tablets take off, we're bound to see a surge of interest in developing apps that truly take advantage of that large-screen form. It'll be newly fertile ground — something rare in the mobile app ecosystems of today — and developers would finally have the motivation they've long lacked to give it their attention. That'd bring a transformative benefit to the entire Google Play ecosystem and the array of both Android- and Chrome-based devices that access it. And that, my friends, is why market share matters from the perspective of regular ol' users like us. A thriving userbase provides an incentive for developers to pay attention and put forth their best efforts. And the advent of Chrome-based tablets goes a long way toward furthering Google's implicit goal of creating an app store like no other — something Microsoft has also attempted and even Apple now seems to be eyeing, though neither with the sprawling mobile-desktop reach that Android and Chrome OS provide. The results may not be apparent overnight, but keep your eyes open. Big things are happening — and interesting times are ahead.